Are you looking for some fun educational games to help your child with math or spelling skills? Did you know that our children are learning all the time, absorbing everything around them that they hear and see? As parents, we have a wonderful opportunity to create an environment which will stimulate our children's minds and inspire them to develop a life long delight in learning. 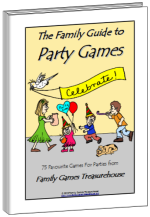 If you've looked throughout our website you will have seen that we have hundreds of free games for the whole family to enjoy playing together. Many of these are excellent learning games for kids. Many board games, dice games and tile games provide valuable practice in counting and addition skills while word games and pen and paper games are terrific for developing your child's spelling and vocabulary skills. Games involving strategy help build your child's thinking and logic skills which are a necessary foundation for higher math and science. 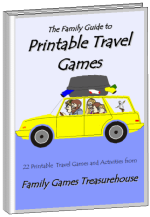 On this page you will find a variety of educational games for kids that can be played with the whole family. We hope you and your precious children will enjoy learning side by side together. The benefits of playing games together cannot be understated. 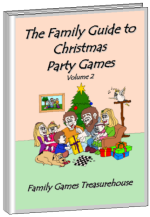 Check out these articles to find out some of the wonderful benefits of playing games together as a family. 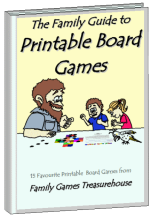 While all the games on our website have educational value we have chosen some games which focus on specific subject skills for this page. 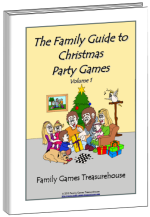 Please enjoy looking through our whole website for other valuable and free educational games for children. These children's learning games are categorised into different subject areas to aid you in choosing the ones which will help your child the most. 24 free educational games which will help build number recognition, counting and addition skills. 18 free learning games for kids which help build thinking skills necessary for science and math. Try these 14 children's educational games to help build spelling and alphabetical skills. 15 fantastic educational games for kids which help build vocabulary, speaking and communication skills.